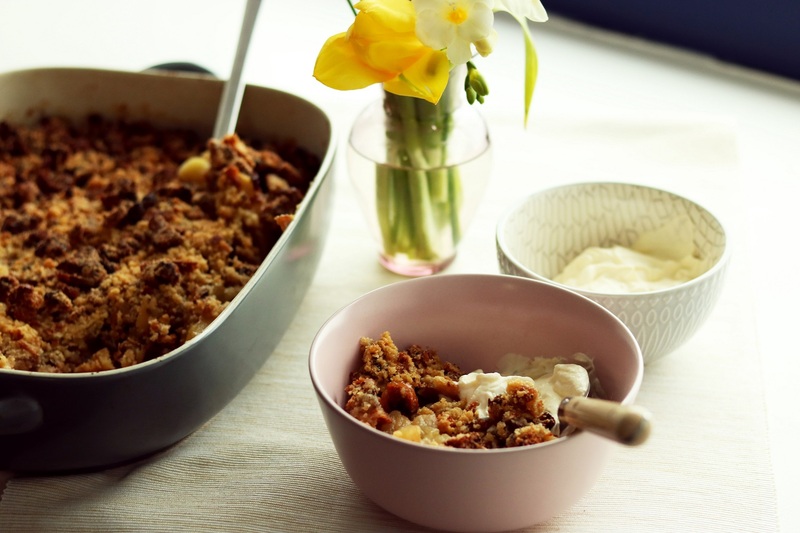 This crowd-pleasing crumble is a great idea for how to use up slightly stale hot cross buns, as well as any not-quite perfect apples and dried fruit that you might have in your kitchen. On a chopping board, finely chop the hot cross buns and then set aside. Add the butter and plain flour to a large mixing bowl. Work to combine with your fingertips, until they have a breadcrumb-like texture. Add the sugar and the chopped hot cross buns and mix all ingredients together well. Layer the slices of apple into a large ovenproof dish. Evenly distribute the soft brown sugar and sultanas across the layer of fruit. Squeeze over the lemon juice and sprinkle the cinnamon. Cover with the crumble topping and then transfer to a preheated oven (180c / 160c fan) for 35 - 45 minutes until you can see the fruit bubbling and the top is golden. Serve with crème fraîche or ice cream. These delicious cream cheese marble brownies are a rich combination of gooey chocolate, coffee and cream cheese. They will prove a hit with friends and family alike, just make sure you make enough of them to go round! This recipe is an inspired way of using up leftover mashed potatoes and using homemade breadcrumbs.